The 15 kilometre link to the site of Expo 2020 is being built jointly by French firm Alstom, Acciona from Spain and Turkish firm Gulermak. 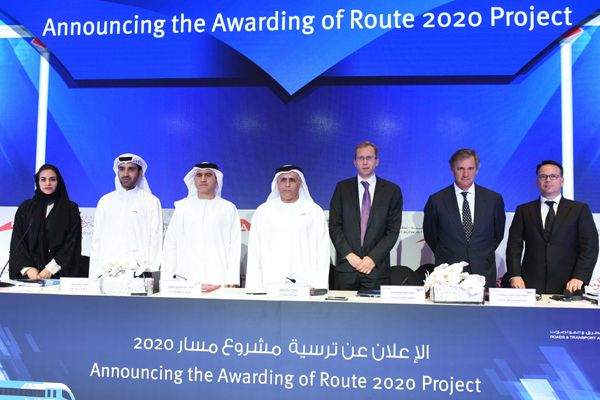 Dubai: Preliminary work on the Route 2020 metro extension has begun and the drilling work is scheduled to start by the end of this year, a senior Roads and Transport Authority (RTA) official said following the signing of an agreement with the contractors on Monday. The contract for the Dh10.6 billion project was awarded to Expolink, a consortium of French, Spanish and Turkish firms, in June and the foundation stone was laid last month. The 15 kilometre link to the site of Expo 2020 is being built jointly by French firm Alstom, Acciona from Spain and Turkish firm Gulermak. The contract includes procurement of 50 trains as well as designing and building the stations and railway tracks. “The construction work on the project started immediately after laying the foundation stone in September. The consortium is currently undertaking soil analysis and sourcing NOCs,” said Mattar Al Tayer, director-general and chairman of the Board of Executive Directors. He added that the drilling work for laying pillars will commence before the end of this year.